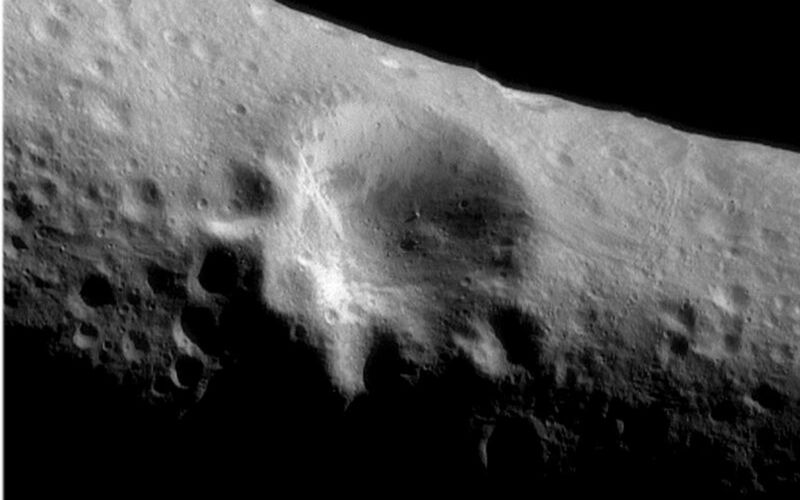 This image mosaic of the large crater at Eros' center was taken on March 3, 2000 during an optical navigation imaging sequence from a range of 127 miles (204 kilometers). This same area was imaged following orbit insertion at a range of approximately 210 miles (330 kilometers) on February 14th. This picture resolves features as small as 65 feet (20 meters) across compared to the resolution of 100 feet (30 meters) in the earlier image. The shadow cast by the boulder near the floor of the crater is now visible. 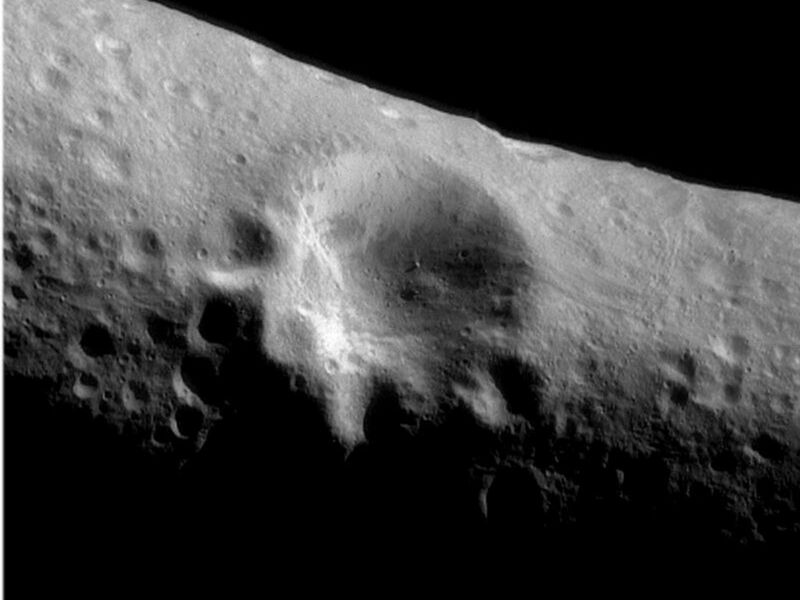 The walls of the crater display some distinctive variations in their albedo or reflectivity. 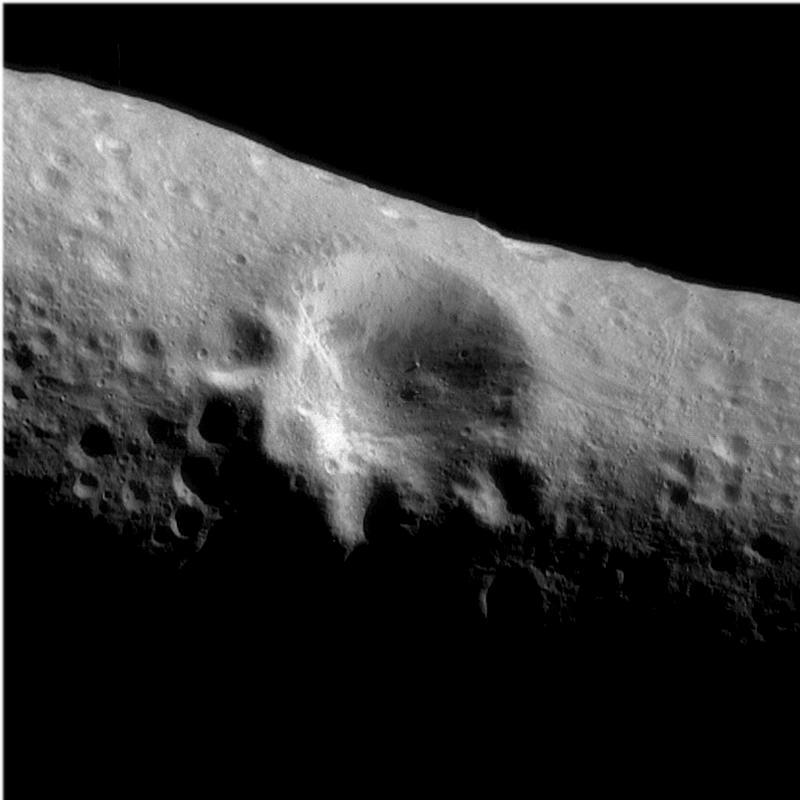 The upper part of the walls tend to be bright, while the lower portions of the walls and the crater floor show patches of darker or less reflective materials. These albedo patterns are also visible on other crater walls. 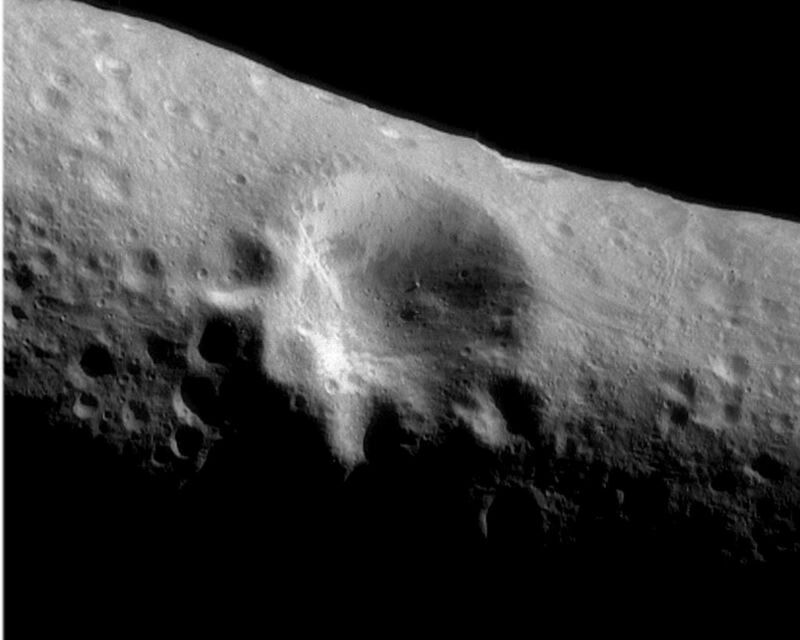 To the right of the large crater, two sets of closely spaced orthogonal grooves are visible.